MOUNTAIN VIEW, CA – Matterport, Inc. says it raised $2.8 million Series A-1 funding for its technology for 3D models of interior spaces, including investment from two high profile entrepreneurs: Crate & Barrel founder Gordon Segal, and Sling Media co-founder Blake Krikorian. “Matterport is defining a new type of immersive imaging that allows people to capture, modify, and share 3D realities,” said Matt Bell, Matterport co-founder and CEO, in announcing the investment. "We’ve spent the last year engaged with a set of early adopters in several industries through our Beta program." The furniture and interior design segments are among those targeted for the application. 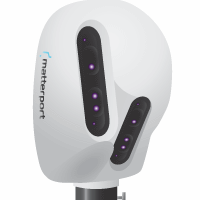 Matterport raised $10 million, including investment from Lux Capital, Felicis Ventures, Greylock Partners, Navitas Capital, Qualcomm Ventures, Red Swan Ventures, and Rothenberg Ventures, as well as prominent angel investors. Founded by entrepreneurs from Google, PayPal and SRI, Matterport’s 3D camera and cloud-based software system allows professionals to create, modify, and experience cloud-based 3D digital models of physical spaces, providing an immersive, realistic walk-through of a space, allowing architects, designers, inspectors, and other users to experience what a space is like today and what it could be like if changes were made to flooring, paint, appliances, structures, and furnishings. At Interzum 2011, 3D immersive environments were demonstrated. As early as Interzum 2011, 3D immersive environments were demonstrated by Schattdecor and 20-20 Technologies, among others. In some cases, viewers were required to wear 3D glasses. These, and subsequent 3D rendering systems show virtual views of new projects not yet built. 20-20 Technologies, for example, has shown its Icovia virtual walk-through technology. Matterport, and applications offered by LaserTech, differ from earlier introdutions, because they allow conversion of existing spaces into 3D renderings, generating files convertible to blueprints and even manufacturing operations.